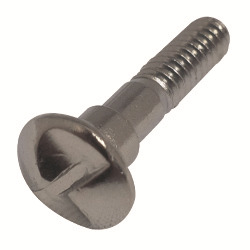 Clutch head Screws only operate in a clockwise direction, for permanent fixing. Ideal for clamping applications where both sides are visible. Stocked in Chrome Plated steel. Stainless steel also available by special order.